When a movie is surrounded by buzz, it invariably disappoints. 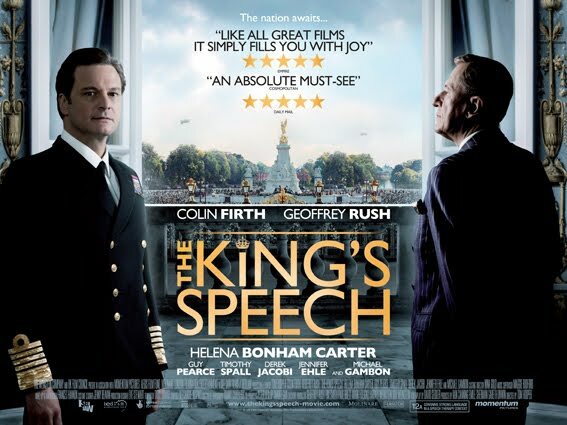 Luckily, The King’s Speech, a costume drama revolving a king with a stutter, escaped this tradition. Much has been said about the performances of Colin Firth and Geoffrey Rush. Colin Firth, most famously known as Mr. Darcy from both Pride and Prejudice and the Bridget Jones films has often suffered criticism regarding his craft. They accused him of being cold and distant – a very English characteristic. Although I didn’t agree with them (just remember the passion of Mr. Darcy or even the unexpected frivolity he displayed in Mama Mia), he wasn’t considered one of Britain’s great actors. But fresh on the heels of last year’s Best Actor nod for A Single Man, a film that might have breathed new life into his career, Colin has finally silenced his critics with a performance that encompasses many different emotions. At times, Bertie is vulnerable and insecure – convinced he is no king. At other moments, his angry outbursts remind us of what lurks beneath the surface. He portrays a man never meant to be king but thrust into the limelight by circumstances. When his brother, a very unlikeable fellow played by Guy Pierce, abdicates in favour of his American divorcée, Bertie suddenly finds himself king. Naturally, kings are expected to deliver speeches and having a stammer can be a rather embarrassing business. It is evident in the beginning of the film, that many options have already been explored and none of the methods proved particularly effective. The therapist who asked Bertie to speak with a mouthful of marbles comes to mind. His wife (Helena Bonham Carter) seeks out a more reliable speech therapist and finds the eccentric Lionel Logue. At first resistant to his methods, the king eventually succumbs. As Bertie settles into his speech therapy sessions with Lionel, played brilliantly by the great Geoffrey Rush, we learn to laugh at swearwords and witness some unusual muscle exercises. As we witness Bertie’s growing confidence, we see (or should that be hear) great progress in his speech. But there are always those who make him nervous. He continues to struggle around his brother and whenever an official event presents itself, his stutter returns with a vengeance. Taking all these things into account, it is an unnerving moment when, at the end of his journey, he is handed The King’s Speech. We care about these characters and I held my breath when Bertie began his speech. And that’s just how it should be. 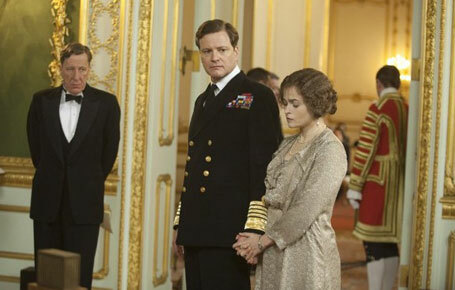 The King’s Speech is a film well worth seeing with good performances all around. Notable mention to Jennifer Ehle for her commendable Australian accent in a very underused role. 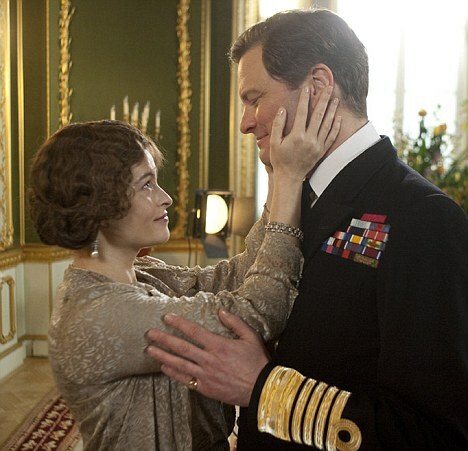 If Colin Firth wins Best Actor at the Oscar’s this year, it will be a very well-deserved honour, indeed.